Keep an eye on Brazil! With the World Cup in 2014 and the Olympics in 2016, everyone will have their eyes on Brazil. Brazil is investing a lot in its international communication and the UK has been identified as one of Wines of Brasil’s primary target markets and one of the primary destinations for Brazilian exports. Download a map and information about the regions here. The economy is strong, the wine industry is established and family-based, and producers are willing to invest in the UK. UK Importer (Aurora brand): Stevens Garnier. HIGHLIGHTS: Largest winery in Brazil with good quality wines, extremely professional, with potential and flexibility to meet the requirements of a wide range of clients. Chosen as one of the top ten ‘Wine Stars’ at the inaugural competition in 2012. 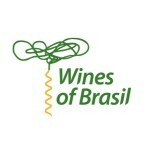 This company is the largest producer of wines, coolers and grape juices in Brazil. The Aurora brand is imported to the UK by Stevens Garnier. Other brands are available for export and the winery also offers possibilities for Bulk wine export, Buyers own brands and exclusive/venture labels. HIGHLIGHTS: Sparkling wines are one of Brazil’s real points of difference. Casa Valduga is a sparkling specialist, and with their wines now in the UK it’s easy than ever to get your customers to try them. A family owned producer, Casa Valduga is best known for the fantastic sparkling wines they make in the Vale dos Vinhedos region, Rio Grande do SulState. Their delightful reds and whites are gaining in popularity every day too. Based in the Serra Gaúcha in northeastern Rio Grande do Sul – Brazil’s southernmost state and its largest wine-growing region. It’s characterized by small family properties, little mechanized due to steep topography. Grapes and the products made by them have always been the central business focus of the Cooperative. But since its beginning, the main core of the operation has always been the welfare of the people involved in the process, in accordance with the cooperative spirit and ideal. HIGHLIGHTS: A large winery producing an outstanding traditional method sparkling Brut Millésime, which is only produced in their best vintages, along with elegant, premium, old world style red wines and a Family Vineyard varietal range. The Miolo winery has 450 hectares planted within the Vale dos Vinhedos – located in the southern most state of Brazil benefiting from a very continental climate. Vale dos Vinhedos was the first and only region of Brazil with certification of geographical indication, and considered as the best wine growing region in Brazil. Within this lies the sub regions of Fronteira/Campanha, one of the new wine regions, located in the Pampas lands that border Uruguay to the south of Rio Grande do Sul. Vineyards are planted at 500-700 metres above the sea level on clay and sand soil over basalt. Miolo benefits from the assistance of Michel Rolland, one of the most acclaimed and respected names in the winemaking industry. HIGHLIGHTS: Selected as one of the prestigious official Olympic 2012 wines these are now available to independent retailers and on-trade buyers sommeliers from one of the UK’s leading importers. The vineyards, owned by the Miolo Wine Group, are established on the Estância Fortaleza do Seival, in Candiota, south of Brazil near the Uruguay border. Four hundred hectares of non-irrigated vineyards are planted with French, Portuguese and other grape varieties. HIGHLIGHTS: Making premium red wines from its own vineyards. Located at the Vale dos Vinhedos, Bento Gonçalves, in the state of Rio Grande do Sul, Southern Brazil, PIZZATO is owned by the Plínio Pizzato family who came to Bento Gonçalves in 1875 from Veneto region of Italy. With a solid experience in grape-growing, the family established the winery in 1999 with the objective of making world class estate grown and bottled wines from their own vineyards. Since their first wine, a very successful Merlot that helped to establish this red varietal as the one with the highest potential in Brazil, the company has been dedicated to making exclusively premium fine wines under its 2 brands, PIZZATO and FAUSTO. The family owns 42 hectares (104 acres) of prime vineyards located in two regions, both within the Serra Gaúcha region. HIGHLIGHTS: You would have an amazing story to tell your customers if you took on this agency: wines produced on the 8th parallel, near the Equator, where there are hardly any seasons! Vinibrasil is able to produce great value wines in a region where the climate allows them to achieve two harvests a year through irrigation! Built in 2002 by the Portuguese wine company Dão Sul, ViniBrasil is one of the most recent and innovative projects in viticulture and enology in the world. It is the only region to produce wines of international quality at eight degrees south latitude. Located within the State of Pernambuco by the San Francisco river, ViniBrasil has 200 ha of vineyards, (from a total of 1600 ha) mostly planted with grape varieties such as Cabernet Sauvignon, Syrah, Alicante Bouschet, Chenin Blac, Viognier and the Portuguese varieties Touriga Nacional and Tinta Roriz. This whole area is equipped with the most modern systems of fertilisation and irrigation. Boscato Vinhos Finos was created in 1983 by the brothers Clóvis and Valmor Boscato, sons of Italian immigrants, who had been involved with grape growing and winemaking all their lives. In 2000, Clóvis daughter, Roberta, agronomist and viticulturist, has added her expertise to the team. The winery and vineyards are located in the Southern Sierra of Brazil, part of the privileged Rio das Antas Valley region where elevation ranges from 710 to 810m. With cold winters, prolonged periods of sun in the summer, and a naturally fertile soil, the location is ideal for the cultivation of fine grape varieties. Each of our vineyards possesses a vertical (espalier) trellising system, a meteorological station and an automatic irrigation system, which, together with our terroir helps to produce the high-quality grapes needed to create our unique wines which reveal the true soul of the land. HIGHLIGHTS: If you’re a young, dynamic company then you’ve found your match in Brazil! Dunamis Vinhos e Vinhedos, a young company, is typical of the new generation of Brazilian wineries. Founded in 2010, it uses modern winemaking techniques to produce easy drinking yet striking wines. With 25 hectares of vineyards located in Serra e Campanha Gaúcha, the company has taken advantage of characteristics that define these two regions: firstly its strong personality and secondly its capacity to surprise. Its limited production, less than 50,000 litres a year, gives an air of exclusivity to its wines. Consequently, all products of the winery’s first vintage sold out quite quickly after they were launched. Stunning natural and authentic wines made with a Purish Phisophy which combines respect for the land and modern vinification technology. The Lidio Carraro family have been in the viticulture business for over 5 generations. In 1998, they founded Lidio Carraro Boutique Winery and planted new vineyards in two exceptional locations in Southern Brazil: Vale dos Vinhedos and Encruzilhada do Sul. 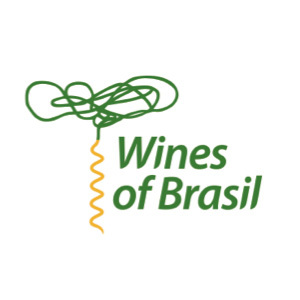 HIGHLIGHTS: One of Brazil’s best known brands, this is a producer who has quantity to supply a larger importer with a wide range of wines including good quality sparklings, Moscatos and other red and white varieties. Vinícola Salton was the first winery to be officially established in Brazil in 1910 in the city of Bento Gonçalves, Serra Gaucha. The company is proud of being a 100% Brazilian family business and the leading producer of sparkling wine nationwide. Don Guerino has 50 hectares of vines surrounding the town of Alto Feliz, in the Serra Gaúcha; the biggest and most important wine region in Brazil. Their terroir distinguishes itself by its particular microclimate: constant sun exposure and light winds, deep clayey soils, with a mild and humid climate. They believe that the quality of wine originates in the vineyard, and focus their efforts on the production of the highest quality grapes. HIGHLIGHTS: A small winery producing wines at an altitude of 1000 metres. Sanjo is a small winery located in the city of São Joaquim, one of the highest and coldest regions of Brazil. The concept was to produce wines from altitude with the influence and discipline of Nipponese culture. Founded in 1993 by a group of 34 fruit growers, Sanjo – Cooperativa Agrícola São Joaquim highlights the pioneering efforts of a group of young Japanese immigrants and descendants, who in the ‘70s were transferred from various regions of Brazil to São Joaquim. Cabernet Sauvignon, Merlot, Chardonnay and Sauvignon Blanc are all planted and the winemaking process is specially developed to extract the maximum quality and preserve the unique characteristics of the grapes produced in the coldest region of Brazil. The climatic conditions combined with soil characteristics, provide a distinct terroir that expresses itself in different wines. HIGHLIGHTS: Situated in one of the highest and coldest regions of Brazil this female owned and managed project is in a stage of growth and development. Santo Emílio Winery – A history of passion for the art of winemaking. The vineyards of Santo Emilio are located in one of the highest and coldest regions of Brazil (1.400m/ 4660ft), at Serra Catarinense, an excellent area for producing quality grapes. Currently 20 hectares are down to vine, with a planned expansion to 50 hectares. We also have a project to build the most modern winery in Brazil. The production is still small; only 30.000 litres of wine, always focused on high quality products that have been recognised by numerous important wine competitions such as The International Wine Challenge, Muscats du Monde and Vinitaly. One interesting feature of Santo Emilio is that is managed only by women. Wines made by womens’ passion and care through the whole process including research, technology, and environmental respect. See another cheerful side of Brazil through our wines.